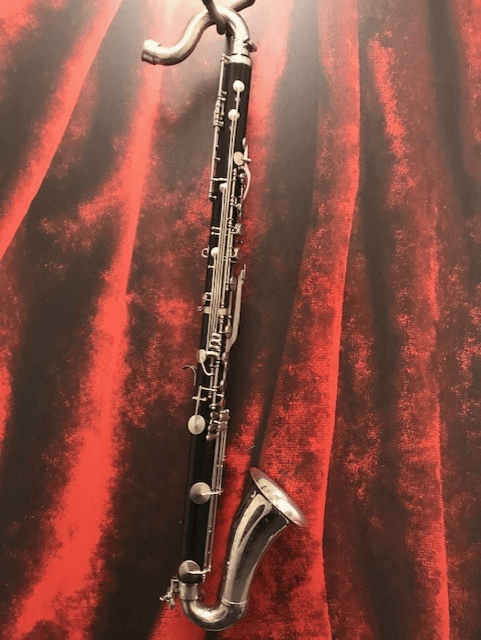 Vito Reso-Tone model bass clarinet. Plastic body with nickel keys. Pads, springs, and corks are in good condition. Perfect instrument for a beginner or woodwind doubler. 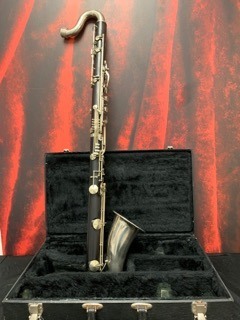 Includes the endpin (featured in picture), hard case, and Yamaha mouthpiece. 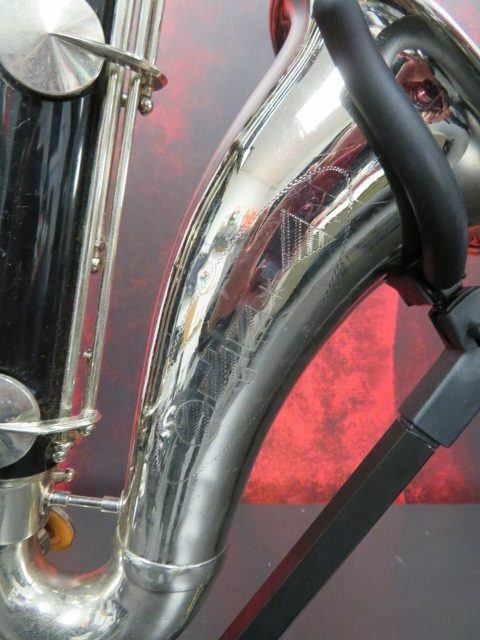 You are viewing a one-piece, plastic body Bass Clarinet produced by Vito. 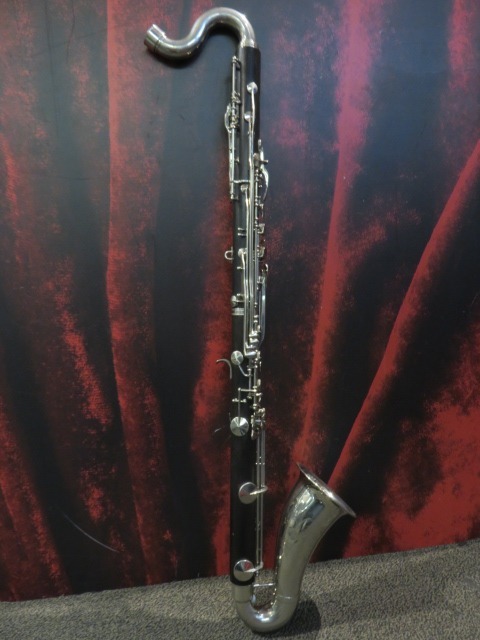 The clarinet is in good working order and has been thoroughly examined by our in-house technician. 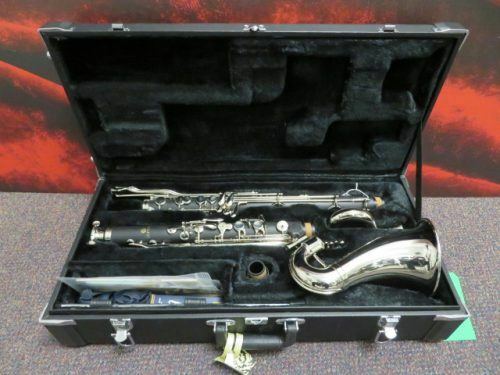 The price includes the original hard shell case, mouthpiece and ligature. 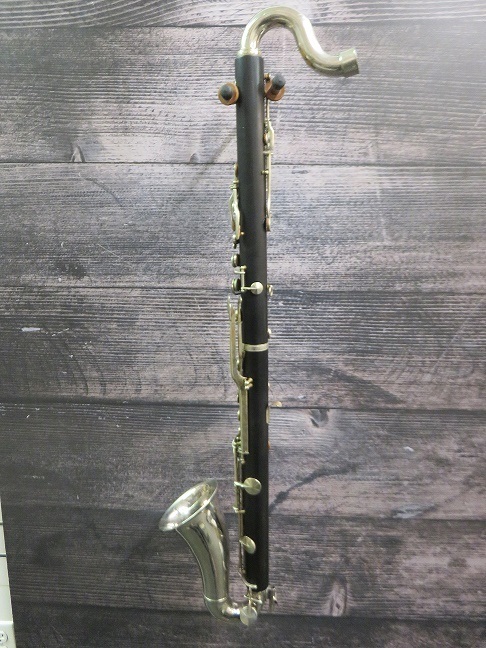 This bass clarinet is in great condition, doesn't have any crack or damages, pieces are in top condition and perform nicely. 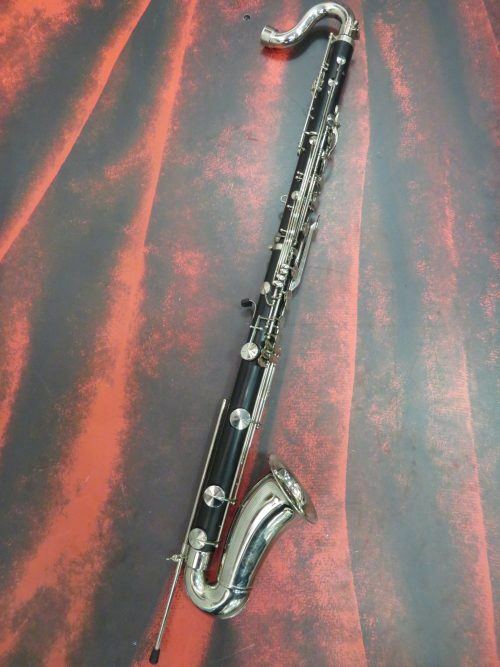 This intermediate bass clarinet is in good condition, doesn't have any cracks or chips and all parts work normally. 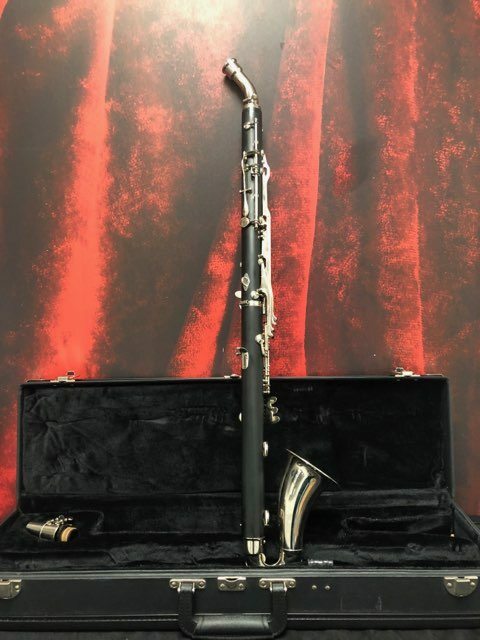 This wooden Eb Bass Clarinet is ideal for any player, from beginner to professional . The clarinet is in good condition. There is some oxidation inside the neck and some very minor scratches in the wood. Nothing beyond normal wear and tear. This clarinet is well-known for its consistent intonation and rich tone. Endpin is not included. Buy it today! 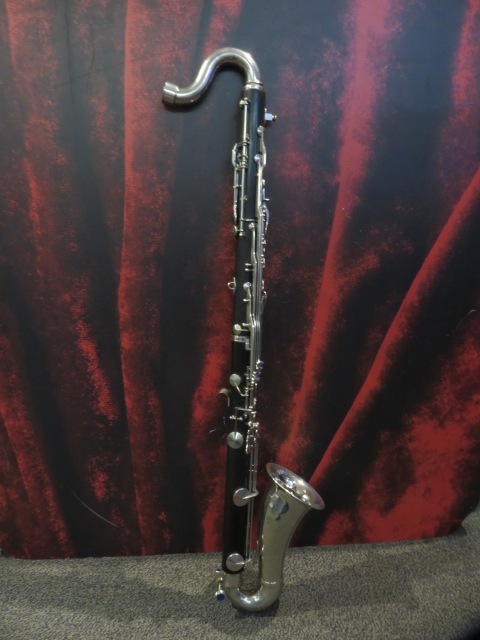 Selmer Bundy Bass Clarinet. Plastic student bass clarinet. Missing the bell peg and in need of a few new pads, this is a great deal for the 1st-year band student! 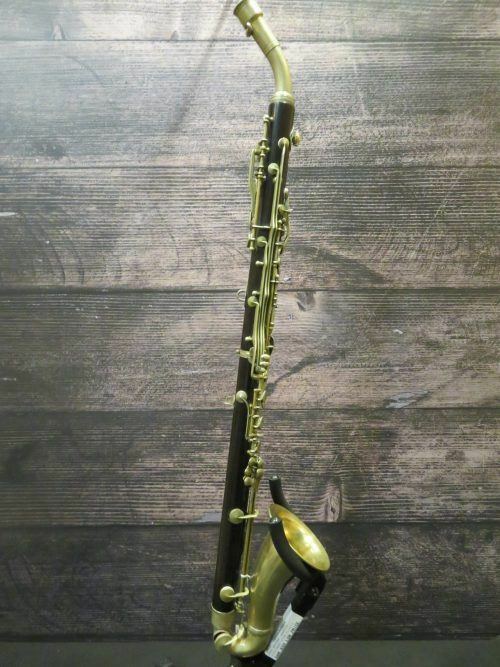 Vito Reso-Tone Plastic Bass Clarinet. Includes case & standard mouthpiece. Ideal for beginners due to its durability, this is a quality instrument at a great price!